Since it is common that women and children find themselves homeless after the sale without consent by their husbands of their houses , Lawyer Yveline Bandji has taken the battle against the articles 1421 and 1428 that she qualifies as discriminatory. 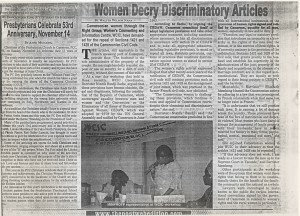 Stressing the importance of the implementation of the CEDEF convention which Cameroun ratified back in 1994, many personalities (including lawyers, judges, members of ACAFEJ, CHRAPA, Muslim Women, Women’s Cry) have gathered to take part in the debate under the title “Equal rights, equal chances, progress for all”. The core of the problem lies in the fact that the country’s legislative system supported by the codes 1421 and 1428 grants husbands the full right to manage at will common properties without their wives’ consent, including her own assets. 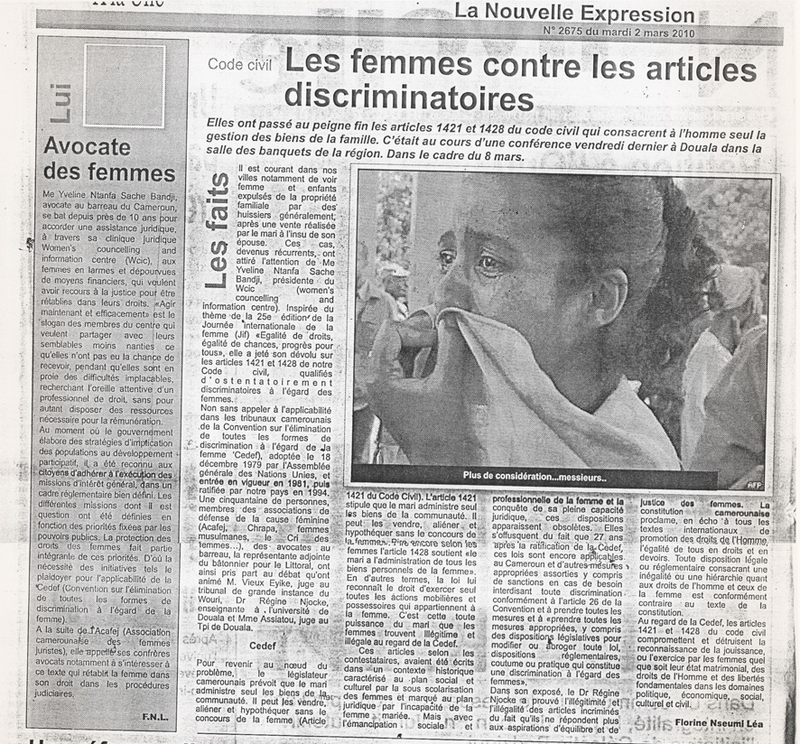 According to the participants, these articles were formulated under a historical context characterised by the general lack of literacy of women and their related legal incapacity. However, following women’s social and professional emancipation and their newly acquired legal capacity, these discriminatory dispositions became obsolete, in particular when viewed against the content of the CEDEF convention. Accordingly, the participants call for reforming/abrogating/cancelling all laws and practices, that could be seen discriminatory against women or violating their rights. 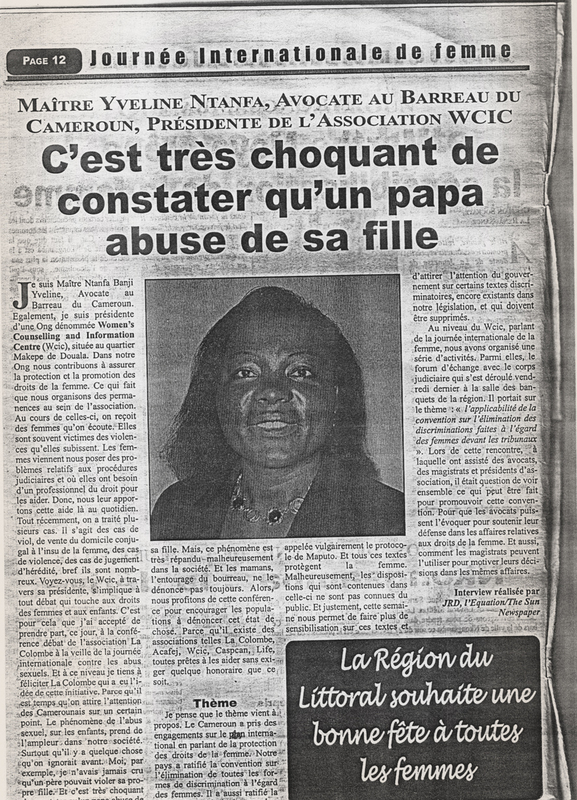 The illegality and illegitimacy of the articles were exposed by Dr. Regine Njocka, while recalling that Cameroun’s constitution along with related international declarations call for equality in rights and plights regardless of women’s marital status. Lawyer Yveline Ntenfa Bandji from WCIC has long been fighting for the legal assistance of financially disadvantaged women in desperate need of advice in order to see their basic rights given back. In the present context, the government is launching several initiatives that aim at involving citizens in different development projects, one of these being the protection of women rights, thereby putting the initiative for the implementation of the CEDEF convention on the priority list. 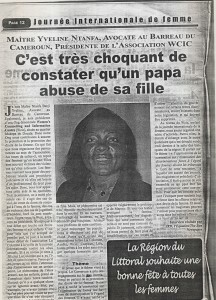 She invites also her colleagues from ACAFEJ to implement the spirit of the convention in the legal process so as to protect the rights of the women. PS: The first two paragraphs of the comment are too technical for me, so i will not be able to satisfactorily condense it. Is is roughly about reform and declaring the 2 codes unconstitutional in 2 legally different ways. The only reform as regards the 2 codes that might have a chance to succeed is to reform the entire legal framework that regulates matrimonial relationships. Indeed, the author stresses the fact that the 2 codes are to be placed in a general legal context (mostly governed by code 213 that establishes the husband as the head of family), the latter contradicting somehow the general content of the CEDEF convention. The comment also mentions a current law project that unfortunately falls short of breaking with the patriarchal relationship, namely article 467 that calls for husbands to manage the family assets with the consent of the wives. 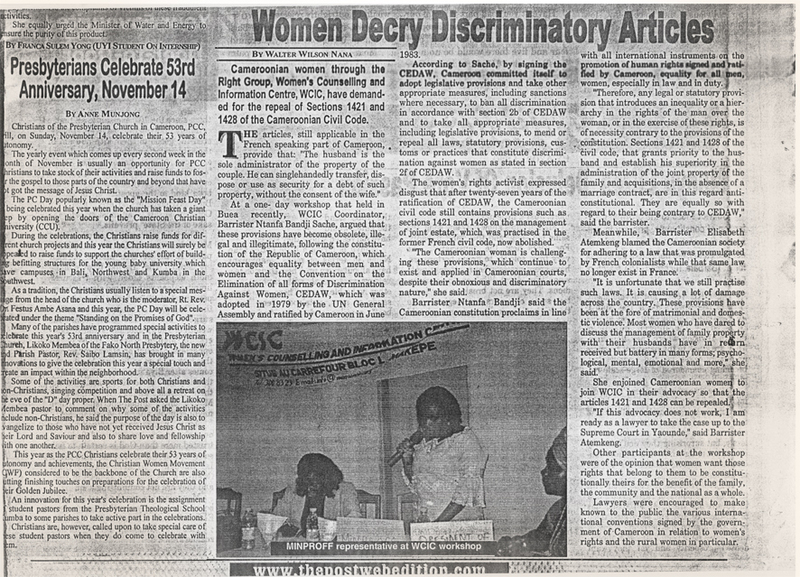 In the last article, the same ideas as previously are in a general manner touched upon by Ms Yveline Ntanfta: raising public awareness about the rights of women, enforcing the principles of CEDEF during legal proceedings, etc. A new issue not yet mentioned is the problematic of sexual abuse and violence by fathers against their own daughters, which seem to be widespread as well according to her, but remain taboo and not publicly made. 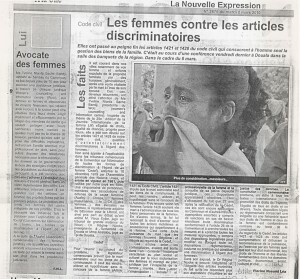 This has been raised during a conference commemorating the international day of women arranged by La Colombe with the presence of ACAFEJ, CASPCAN, Life. “Spons en advokat i Kamerun!” Advokatbladet, magasin for Norske Advokater, interview med Kari Helene Partapuoli, december 2007. P1 Orientering (DR), interview med WCIC’s leder Yveline Ntanfa under besøg i Danmark, maj 2006.